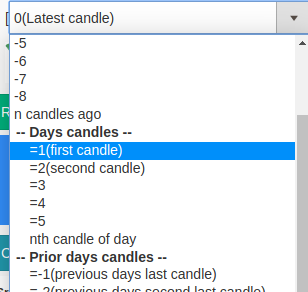 We’ve added the ability to access any candle of the latest trading day or previous days for Intraday timeframes. Useful for scans that require to access indicator values at a given point in time. 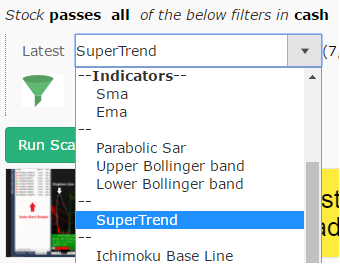 Scans can now be created using a mix of Fundamental & Technical indicators. Fundamental parameters in scan can be validated against our fundamental page. Results for Consolidated figures in Rs. Cr. Author AkashPosted on December 23, 2017 December 25, 2017 Categories screener38 Comments on Fundamental filters now avaliable! Starting 2017, Chartink.com launched custom technical stock screener for NSE/Indian Stock markets. 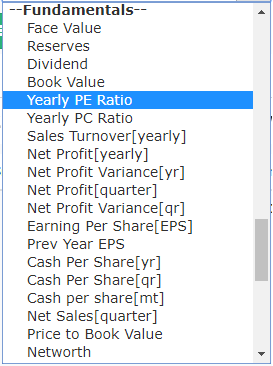 Our screener lets you fully customize & build custom stock scans. 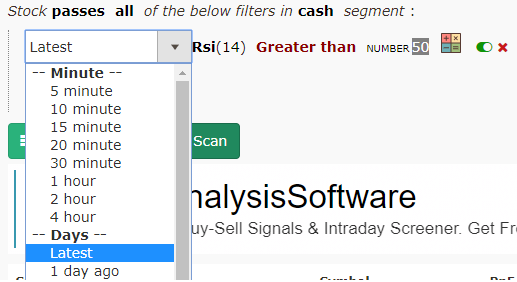 So, if you are looking for any technical breakouts or automate your buy/sell signals our scanner can help. 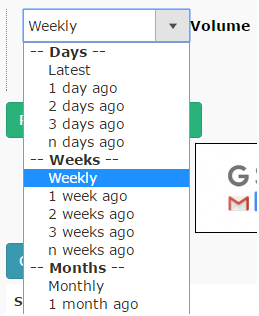 Start using it today for free.